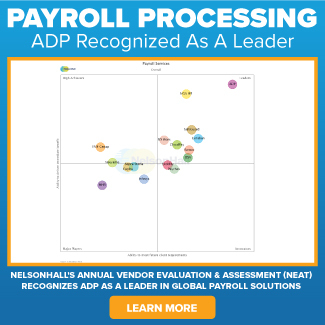 Most organizations know their workforce is their competitive edge, but many may be diminishing this long-term advantage by under-investing in their employees when it comes to professional development (PD). 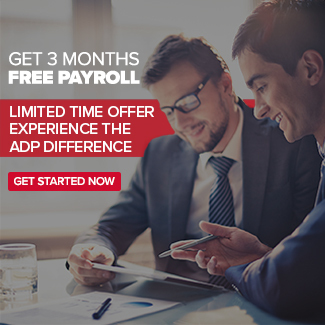 A recent ADP Canada poll found that four in ten Canadians aren’t getting the PD opportunities they want, and about the same number (39%) would take a pay cut to work someplace that would support their growth. That’s bad news for some organizations but it’s good news for the Canadian economy and employers generally. This poll tells us that the majority of our workforce is eager to learn, ready to grow and looking for a bit of support. In fact, 65 percent of workers say they’re just waiting for a chance to build new skills and experiences. Training for employees is a key. Whether it’s making sure workers are up to date with technical certifications or building more general skills such as negotiation or project management, a broad curriculum of learning opportunities is important. The good news is, it’s never been easier or more affordable to offer top quality training. Many companies take advantage of massive online open courses (MOOCs) that are offered by universities and colleges or sites such as Udemy or Lynda. Courses on these platforms cost just a few hundred dollars and are delivered entirely online, saving on travel and time away from work. Other companies are outsourcing their online training to third parties who can build custom portals with general and specific online courses tailored for that organization’s workforce needs. Regardless of how you offer online or in-person learning, it’s important to help your team have access to formal training and skills development, or, as the poll shows, they may go elsewhere to find it. Training is a key element in a strategic workforce plan, but savvy employers can find plenty of other ways to help employees grow. Mentoring programs are a great way to help your staff connect learn from more experienced colleagues, and reverse mentoring offers an opportunity for tenured workers to pick up new skills from newer employees. While these are extremely cost-effective programs, they don’t manage themselves, so you’ll want to work with your HR team or a knowledgeable consultant to design and manage your mentorship approach. Professional development can take many forms, but if your employees don’t know about it or don’t use it, you’ll end up with a “growth gap.” Our survey found that 33 percent of employees don’t think their employer even offers PD, while almost 20 percent admit they haven’t asked. Paradoxically, one of the chief complaints among HR and Learning and Development professionals is a lack of participation in PD programs. Communication is key! Even if your intranet and employee handbook are full of information about professional development, your employees, especially new hires, are much more focused on getting their work done and learning the ropes. Make sure you are letting your team know about the PD programs at every opportunity. You might even consider requiring a certain number of PD hours each year as a way to encourage workers to use the programs and invest in their careers. As the labour market tightens, and technologies change, employers require a good understanding of the skills they need in their business in three to five years and what they have today. This skills “inventory” is key to ensuring you have the workforce you need to stay competitive. Having a culture that celebrates individual and collective PD is also key. When learning is the norm, and employees see peers and executives investing in their own growth, program participation increases, while employee turnover falls and professional development becomes a tool for recruiting top talent. The most important player in closing the growth gap, of course, is employees. By helping your team understand they own their careers, and by empowering managers to have honest conversations about goals and opportunities, you can set your entire workforce up for immediate and long-term success. Have you had a manager who inspired you to invest in yourself? What programs would you like to implement in your workplace? Elizabeth Williams is Director of Brand and Communications at ADP Canada.